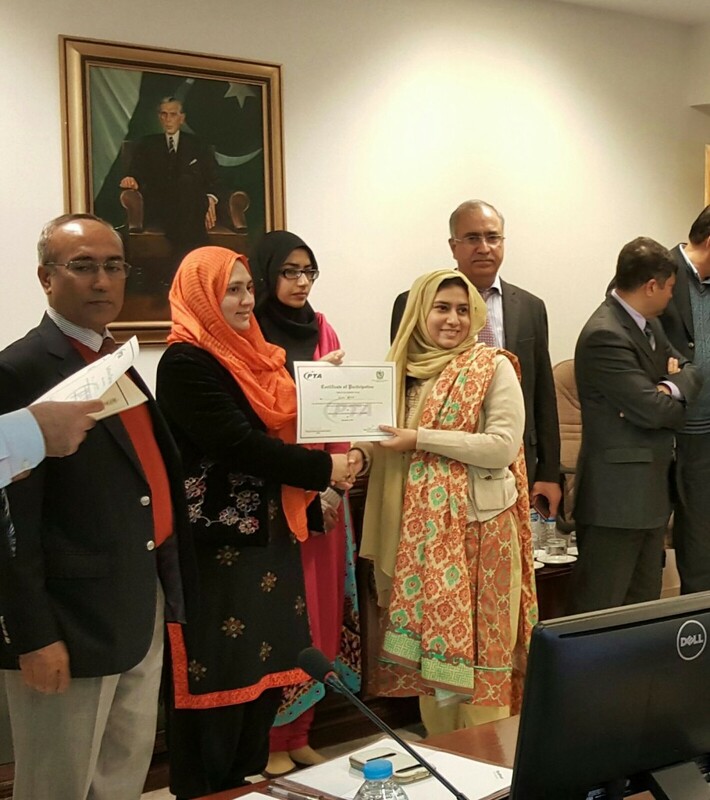 The workshop for women developers on Android & Augmented Reality concludes at PTA HQs yesterday. The workshop was aimed at providing basic training on Mobile Application Development for women in the field of IT and lasted for 5 days. It was arranged by PTA and MoIT together to promote women developers for the very first time in history of Pakistan. Chairman PTA Dr. Ismail Shah and Ms. Ameena Sohail, Member Legal MoITT distributed certificates at the end of workshop among young women developers and spoke on the occasion. Tariq Sultan, Member Finance and Abdul Samad, Member Compliance also spoke on the occasion and highlighted the importance of Mobile application development specially for the Women. Chairman PTA appreciated the interest shown by the participants and encouraged them to help conduct further training in their respective regions. 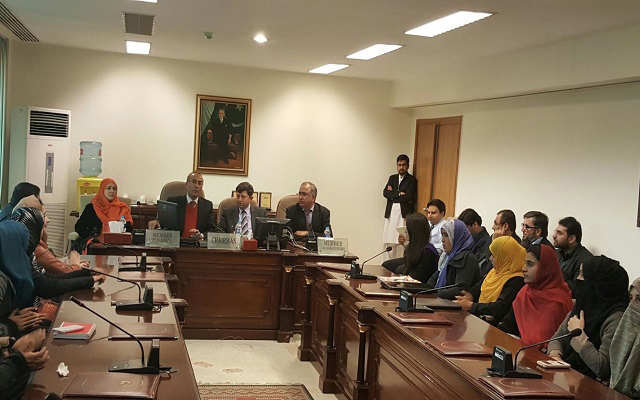 He also lauded the assistance provided by Central Asian Cellular Forum and Qualcomm in conducting the training. 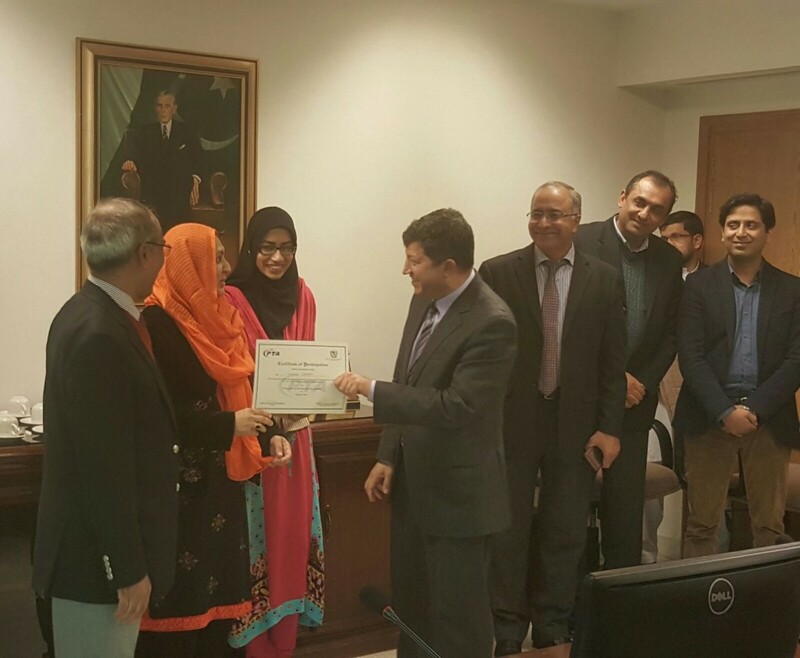 The training mentors Mr. Mohammad Usman and Miss Ayesha Ahmed; who participated as master trainers in this workshop were also appreciated through certificates.